Katy Perry's Met Gala veil has the entire world confused right now. Congratulations, fashion friends. 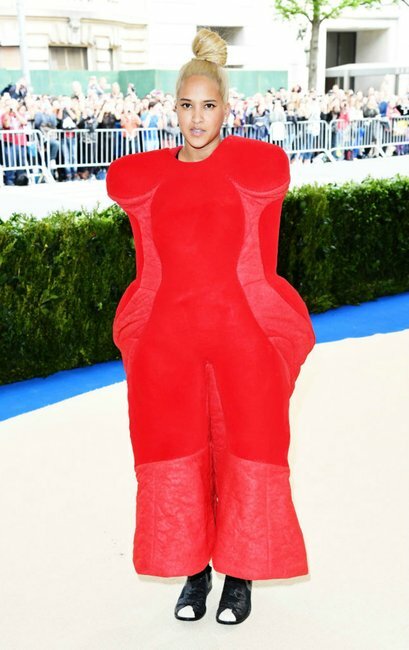 The Met Gala is upon us once more. But while ogling the red carpet looks, one big question has arisen: What does the Katy Perry’s Met Gala veil say? 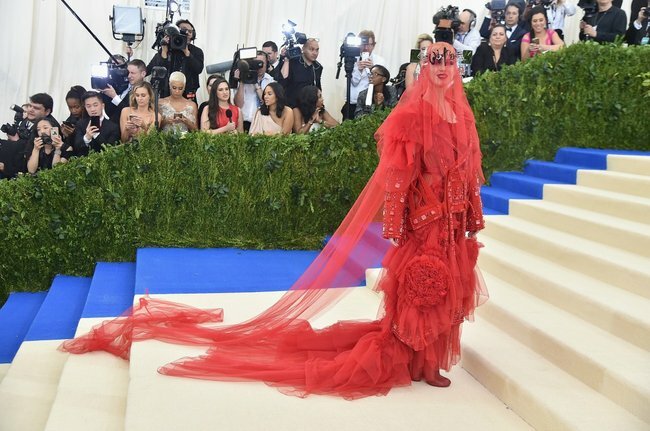 Hitting the red carpet in an intricate red, floor-length Margiela lace dress, the 32-year-old singer – who, along with Pharrell Williams, is this year’s co-chair of the gala – wore a long, red veil with a word embroidered along her eye line. Seriously, so confused. Source: Getty. What that word is, though, the internet was not entirely sure. "Whiteness?" one Twitter user guessed. Close, but no cigars, I&apos;m afraid. According to superfans, the veil says "witness", which is believed to be the title of Perry&apos;s forthcoming album. As for the mirrors that sit either side of the veil... well, we have no idea, but they&apos;ll sure come in handy for Met Gala attendees who need to touch up their lippy throughout the night. 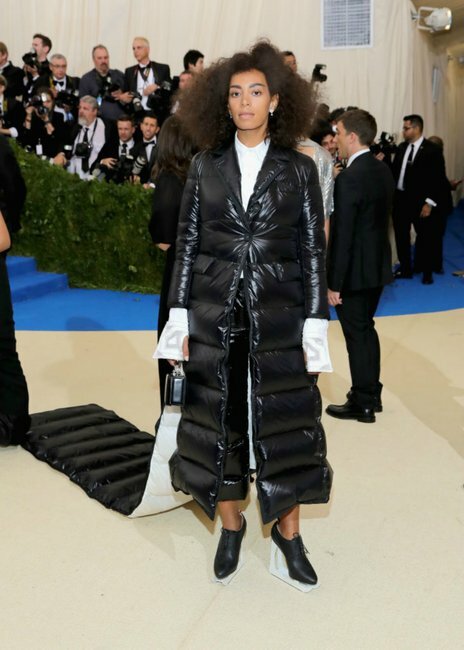 Check out all the Met Gala red carpet looks below.